When I first picked up Whisper, I expected a book that would be an enjoyable, interesting read, but I didn't expect to be moved as much as I was. Demi's story is such a sad one. Of course, it's awful for anyone to be deaf, but if a child is born deaf, they don't know any different. But to reach the age of 14 being able to hear perfectly, and to then have the world put on mute after suffering with meningitis, it's just so hard to deal with. But Demi is trying. She has spent the last two years learning to lip read sign along with her family, and has struggled through school. However, having a translator at school only three days a week to help her understand her lessons isn't helping as much as it should. Her usual high scores have been slipping, she's having a hard time understanding what her friends are saying when they forget to face her so she can read their lips, and have no idea how annoying it is when they tell her "Don't worry about it". She's missing out and life is getting harder, so she takes the brave decision to leave her school and join The College for the Deaf. And that's where our story starts. It was great to see Demi's opinions of people change. She's joins thinking some students are too over the top with their facial expressions, and doesn't understand how one of the students can wear an "ugly" cochlear implant. But then she gets to know these people - these people who seemed so different, but are actually just like her; normal teenagers going through normal teenage experiences - they just happen to be deaf. It's also great to see her try and juggle the two parts of her life; her relationships with her deaf friends, and those with her hearing friends and family. Should you ditch your old friends when it's so much easier to be with those who are deaf, especially when those who can hear just don't get it? I did have a few problems with the book, though. There were a few incidents that happened before the book starts that were made out to seem massive, always hinting at these big disasters before we're actually told about them, but then it didn't turn out to be as big a deal as I was expecting. Sure, these incidents would have been important to Demi and how she acted, but I was expecting these things to be much bigger than they were. I didn't find the romance to be particularly believeable, but that's probably because we didn't find out enough about Ethan, Demi's love interest, for my liking. I also wasn't the biggest fan of Stella, one of Demi's deaf friends, though I admired her strength and determination to fight discrimination against deaf people. There was just something about her I didn't warm to at all, though she's a very important character. What I was a fan of was finding out more about what deaf people go through. The discrimination and bullying the deaf characters have to put up with is just awful. Oh, it made me so, so mad! But I loved learning about how these deaf characters lived; how the teachers got the class to settle down and listen, how signs for certain words can be edited by the signer to make it an insult, or to express mood. Some signs were described so clearly that I was able to try them myself - chihuahua is so cute! And Whisper is written in such a way that while you're reading, you almost feel like you're deaf. so when you stop reading and go about your day, it's really odd to suddenly hear things and be able to speak. It was very strange, but awesome. And the last words of the book are just amazing. So beautiful. 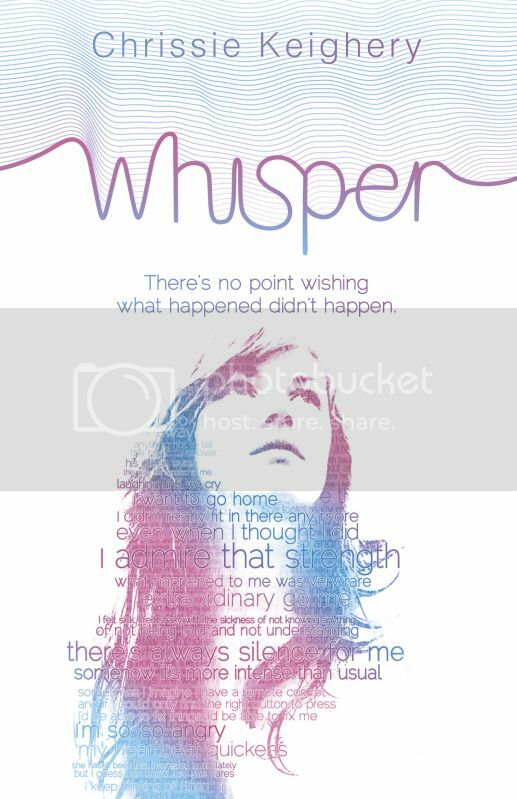 Whisper is an incredibly moving and beautiful book that will stick with you long after you turn the last page. A brilliant story, and a real eye opener. Thank you to Templar for sending me a review copy. You are so right. Being born deaf or even blind if awful, but having these senses and then losing them later in life? That is beyond devestating. I love the sound of Demi's journey in this - both in a physical and emotional sense. And I'm especially fascinated by how you describe the writing!! Wow. Very eager to see what you mean there. Aww, thanks! I hope you enjoy it when/if you do read it! It is such a good story! It was really awesome! Great review! I hadn't heard of this one before, but what you said of it made it sound interesting. I'll add it on my 'maybe' list! Thank you! :) Cool stuff, I hope you enjoy it it if/when you read it! It's a really awesome book! Wow...it sounds remarkable! I couldn't even begin to imagine how one would feel thrust from the world of the hearing to that of the impaired. It would take incredible courage and support to make it through. Thanks for sharing your thoughts! No problem! It is a really awesome book, and is a real eye opener. Just fantastic! Oh I have this! Need to read it soon. Oh, awesome! Hope you enjoy it, it's really good!